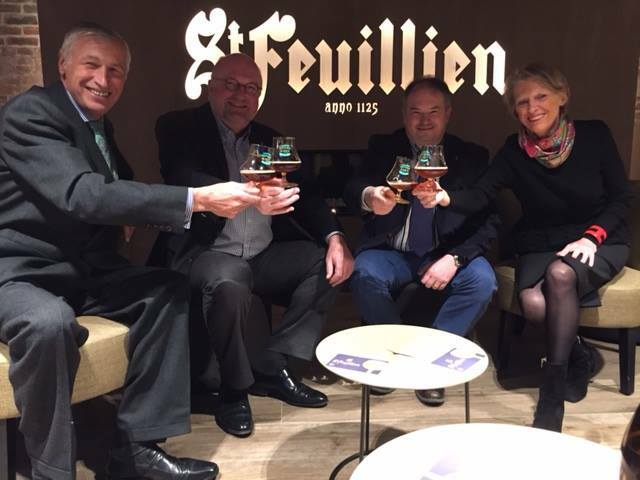 Like all our members, the brewery of St-Feuillien has been in the same family for generations. The name of the brewery however, dates all the way back to 655. That year, the Irish monk Foillan – as he is known in English – was murdered in the town of Le Roeulx. After his death, many pilgrims came to visit the site and the myth is told that every morning, the dew was red like blood. The Saint-Feuillien Abbey was founded in 1125. For seven centuries the abbey prospered, not only as a place of prayer and study, but also as a centre of economic, administrative and cultural activity. Between 30 and 40 monks lived there, surrounded by farmers and other tradesmen, including a brewer. In 1796, the abbey was condemned by soldiers of the French Revolution and Saint-Feuillien beer disappeared, but fortunately not for long. Brasserie St-Feuillien was founded by Stéphanie Friart, great-great-aunt of current owners Benoît and Dominique Friart. She and her husband started the brewery just outside of the town of Le Roeulx. Unfortunately Stéphanie became a widow less than two years after the brewery was opened, but she was a strong woman and a great brewer. 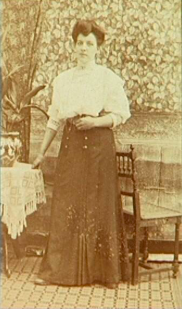 Stéphanie won numerous awards with her beers, most notably at the Antwerp International Exhibition in 1894 and at the International Exhibition of Food in Geneva in 1895. Stéphanie sold the business to her nephew, Benoît Friart. In 1920, he also bought another brewery in the centre of Le Roeulx. Production was transferred to these more modern buildings, which are still home to most of the production facilities today. Benoît Friart kept both sites operational until 1939, brewing beers like Grisette, Belge, Saison and Triple Wallonne, to name a few. After the Second World War, his youngest son, also named Benoît, took over the business. 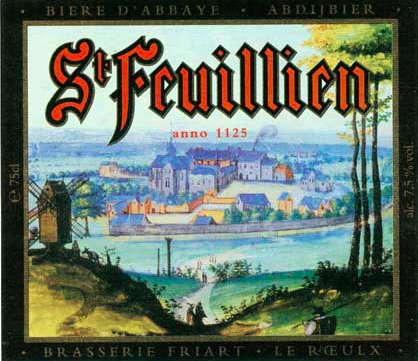 From 1950 onwards, a wide range of beers were brewed, including a pilsner and of course St-Feuillien. Today, Dominique Friart and her brother Benoit – fifth generation of the family – have been running the brewery for almost 30 years and continue to brew a wide range of beers, including the St-Feuillien Abbeyrisette, Saison and Grisette beers, demonstrating a determination to stay rooted in the region’s history and keep this local tradition very much alive. The last ten years have been a period of major investment, paying close attention to product quality and continuously investing in its equipment and facilities.